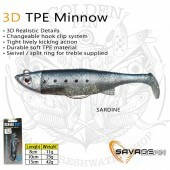 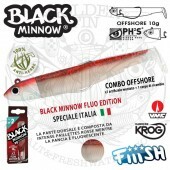 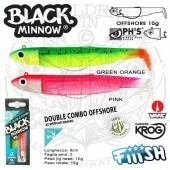 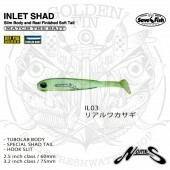 SAVAGE GEAR 3D TPE MINNOW is the 3D the scan of a small Sardine. 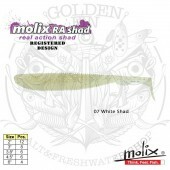 The perfect small baitfish imitation based on the scan of a small Sardine. 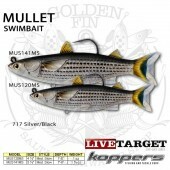 The lure is designed with a unique clip system that will allow the angler to change hook style and size easily. It can be used with a treble hook or with a single hook. 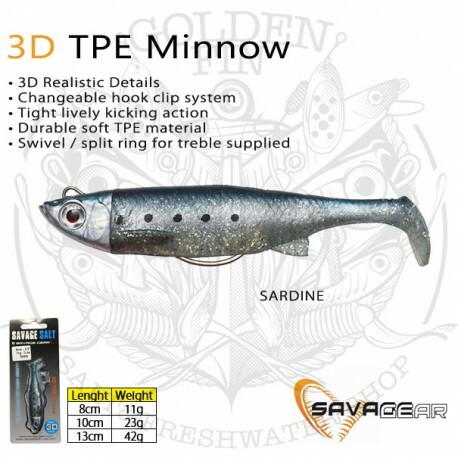 even for a snag free presentation. 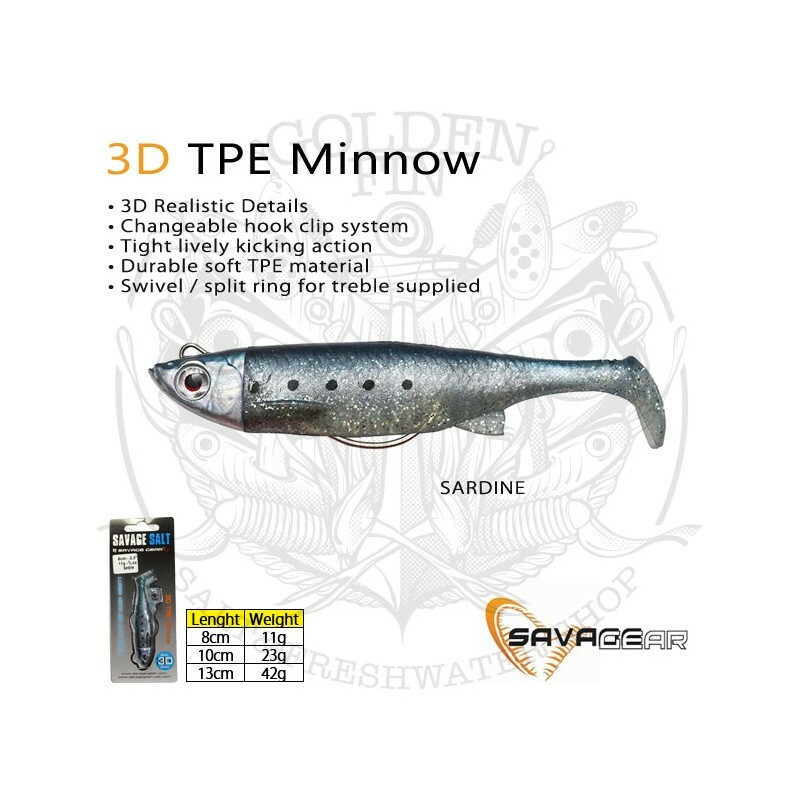 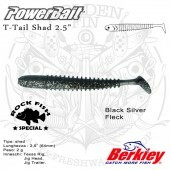 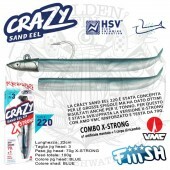 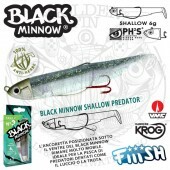 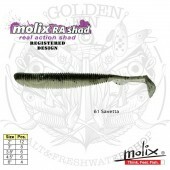 The SOFT TPE material is very durable and can withstand even the toothiest predator fish. 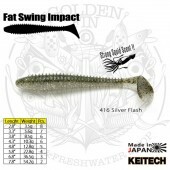 The soft body is glued to the metal alloy head for a perfect fit. 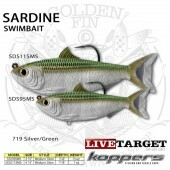 The lure will fish both on the retrieve and on the drop. 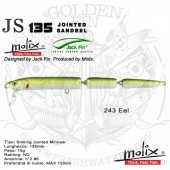 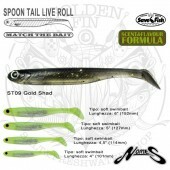 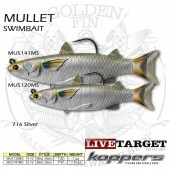 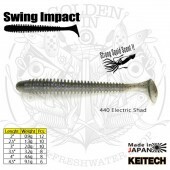 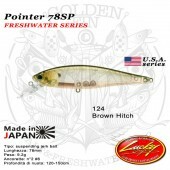 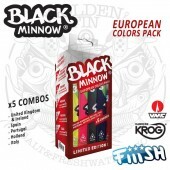 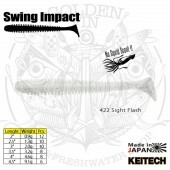 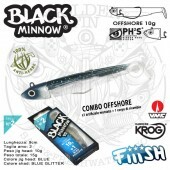 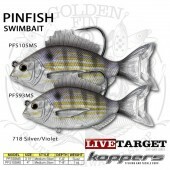 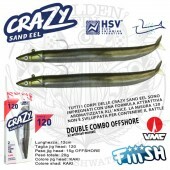 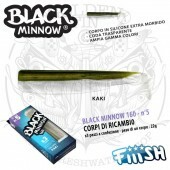 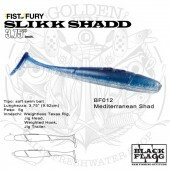 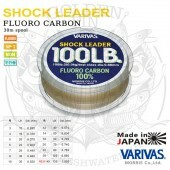 with a tight and lively kicking and flaking action – a very versatile lure. 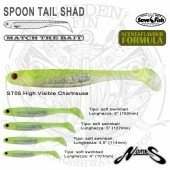 that will catch just about any predator fish in both fresh and saltwater.